Dr. Eric Peters graduated from the Loma Linda University and completed his residency program at the Loma Linda University. He is specialized in Radiology and board certified in Diagnostic Radiology. 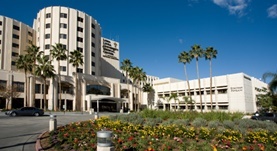 Dr. Peters has been in practice for more than 3 years and is affiliated with the Loma Linda University Medical Center. During his career, he has also contributed to two publications of clinical interest. Dr. Eric Peters has contributed to 2 publications. Agrobacterium-mediated transformation of maize (Zea mays) with Cre-lox site specific recombination cassettes in BIBAC vectors. Vega, J. M., Yu, W., Han, F., Kato, A., Peters, E. M., Zhang, Z. J., Birchler, J. A.; Plant Mol Biol. 2008 Apr. A test for ectopic exchange catalyzed by Cre recombinase in maize. Ream, T. S., Strobel, J., Roller, B., Auger, D. L., Kato, A., Halbrook, C., Peters, E. M., Theuri, J., Bauer, M. J., Addae, P., Dioh, W., Staub, J. M., Gilbertson, L. ...; Theor Appl Genet. 2005 Jul.